Not wanting to be outdone by South Korea and others, which mandated the use of digital textbooks by 2015, earlier this year the FCC and the Department of Ed released the Digital Textbook Playbook to help accelerate digital textbook adoption among American schools. According to a recent report from the State Educational Technology Directors Association (SETDA), it’s not a matter of if this transition will happen, but when. Since its launch in 2009, Inkling has been on a mission to reinvent publishing for the mobile, digital era by building engaging, interactive learning content from the ground up for the iPad. Initially focused on higher ed, this year Inkling has been expanding its scope, moving into consumer-facing titles and continuing education, along with making its content available on other platforms like the Web. Today, Inkling continues that expansion with the release of the “Inkling Library,” an online store that will feature curated digital eBooks from a range of genres and proposes to serve as a one-stop shop where consumers can find hobby and interest-specific learning materials. According to Inkling founder and CEO Matt MacInnis, the library is akin to Amazon for illustrated learning content and will feature 300 titles from categories like Travel & Adventure, Food & Drink, Arts & Photography, Music, etc. 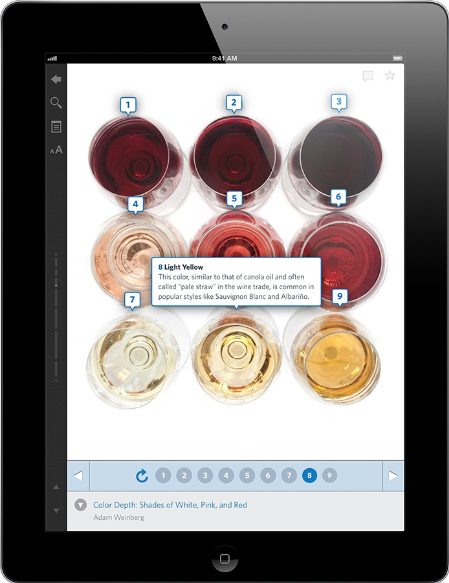 The eBooks were built from the ground up as a way to showcase the Inkling digital publishing platform, meaning that each copy comes with stuff like advanced search, the ability to sync across iPad, iPhone and the Web, glossary terms, interactive guided tours and slideshows, high-res images and social notes. The content comes from publishers like Frommer’s and O’Reilly and includes some of the “For Dummies” series now owned by Wiley. The average price of the titles is about $9.99, with the option to purchase chapters for $0.99 and up. By the end of the year, MacInnis says, Inkling hopes to have 400 titles published to the library, with some of that content being exclusively created for Inkling, some of it familiar and published already (like “For Dummies”) and some of it augmented for the library — but all of it intending to demonstrate what’s possible now in the digital textbook market — for both indie and established publishers. In February, Inkling launched Habitat, a cloud-based, cross-platform publishing environment that essentially allows any publisher to create digital-first titles or migrate their existing, paper-based content to digital. In a way it was a reaction to Apple’s release of iBooks 2, but instead of being a platform that allows anyone to create digital textbooks, it focused on professional publishers, giving them an easier way to make their catalogs digital, rather than having to spend millions to develop the technology themselves. MacInnis says that the move has finally allowed Inkling to start generating real revenue, as partnerships with publishers like McGraw Hill, Pearson and Wiley have led to growing production of digital e-books. Inkling has been able to gain particular traction among medical students, as titles from the big publishers are now used in 150 medical schools worldwide and will be in 900 campus bookstores this fall. Overall, college students from more than 4,000 schools have purchased Inkling’s titles, which the founder says has started to expose it to a new set of students that had never heard of it before. The company followed Habitat with the launch of Inkling 3.0 this summer, which brought its eBooks to the iPhone and iPod Touch. 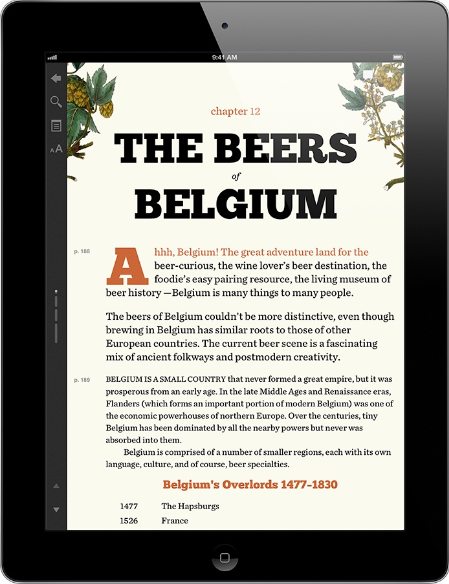 Now, with the Inkling Library, the company is starting to put the pieces together of a substantial digital publishing and distribution platform, offering both education-specific content as well as consumer-facing titles that are available on the Web, your phone and the iPad. MacInnis believes that, while Inkling faces competition from the giants of both technology and publishing, specifically the likes of Apple and Amazon, they are trying to solve the easy problems, rather than tackling the hard stuff. Publishers want an industrial-grade tool they can use to digitize their content — that actually goes beyond a simple text-to-digital port — on top of distribution channels. The CEO thinks that, as of now, it’s one of the few to focus on digitizing how-to and hobby content. And by helping publishers and authors get their content to appear in Google results, Twitter streams and on general consumer sites, it’s going to help accelerate what has, up to this point, been fairly slow textbook adoption. The Inkling Library is now live on the company’s homepage. Find it here.